There currently are no rumors of the Dodgers being connected to Marwin Gonzalez, but perhaps there should be. As a matter of fact, Gonzalez is one of the more versatile consistent players on the open market. Gonzalez, who has played the last several years in Houston, is a 29-year old switch-hitting infielder/outfielder from Venezuela. You may remember him from the 2017 World Series. He’s the guy who hit the game-tying home run in game 2 off of Kenley Jansen in the top of the ninth inning. Yeah that’s the guy. I think he would be a solid addition to the Dodgers roster. Looking at his numbers, he’s had league average or better production in four of his last five seasons. He’s posted OPS + marks of 105, 109, 146 and 103. His batting and on-base skills have improved as well over the last two seasons. He’s drawn 49 walks in 2017 and 53 free passes in 2018. He had a career year in 2017, slashing .303/.377./530 with 23 home runs and 90 runs batted in over 515 plate appearances. The 2018 season was a bit of a down year for him. He batted .247, and his on-base dropped nearly 50 points from the season before. However he still blasted 16 home runs and drove in 68 runs while stepping to the plate 552 times. He’s been reliable. Over the last three seasons he’s had at least 515 plate appearances. He’s usually healthy and has posted WARs of 4.3 and 2.5 in 2017-2018 respectively. Gonzalez is a switch-hitter and with the departure of Yasmani Grandal, the Dodgers now do not have a switch-hitter on the roster. It would be nice to have one, especially one who can play all over the diamond. There’s another benefit of adding Gonzalez. He can play multiple positions and we all know how much the Dodgers love a player who can be moved all over the field. Gonzalez plays all four infield positions and left field. Shortstop, first base and left field are the spots he’s had the most time at. He’s also registered plus defensive metrics at every position. He’s a good defensive player. Not only that, but he would come cheap. 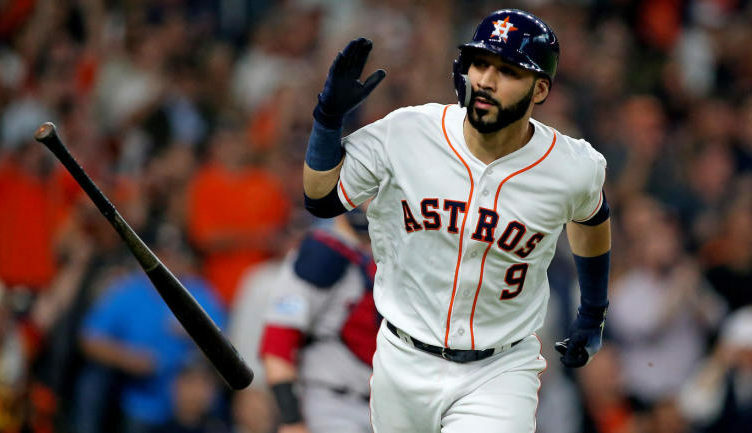 Gonzalez earned 5.1 million dollars with the Astros in 2018. It wouldn’t cost much to give him a multi-year team friendly deal. The Dodgers could use him on the bench as a utility player, if he was open to that. If not then it’s possible the Dodgers could put him in left field, or at second base. He’s a career .264 hitter with a 103 OPS+ and 76 home runs. He’s versatile. He’s got power, he’s got a solid glove and he comes cheap. There’s no reason why the Dodgers shouldn’t at least consider acquiring him. Personally, I think the Dodgers are done doing anything else. the only thing they will be doing is packing for ST.
With this current roster, I don’t see the Dodgers winning the division either. Pitching is going to catch us up in mediocrity. I tend to agree here with ya, True Blue. 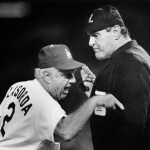 And one other thing to consider….Dodgers don’t get as far as they did without those HR’s they did hit to win many games and for those who think HR’s are not necessary, don’t forget that this pitching staff of ours serves up a lot of them too. If our pitching has any setbacks and or falters, Dodgers will be in trouble because the offense just won’t be as good as it has been if no other moves are made. We do score a lot of runs over the whole season (macro), our problem is we have trouble scoring runs game to game (micro). This results in very boring baseball game in and game out and leads to stupid low output losses. So that stupid shyte is still going to be a problem. Then you go to pitching and we just are not that strong top to bottom, we have spotty starters (game in and game out) and we have a very spotty bullpen (sometimes dominate but often just throwing gasoline around and tossing matches on it, game in and game out). That picture I have observed and have now restated is of great concern. Based on those items, I just don’t see us winning the west or even the wild card this season. And for those points ya brought up here are really what very well could see this 2019 team miss the PS. IDK, but I heave read some rumbling here and there about Freidman basically wearing out his welcome so to speak. the offense, as you know is or will be inconsistent if they continue with the excessive platooning, which sits the hot bats on the bench due to the arm side of a pitcher. Being in and out of the lineup daily, not knowing if and or where you will be playing is the reason we actually have a team simply full of only marginal players. If ya haven’t noticed, I am against full on platooning. Los Angeles Bay Dodger Rays? They are what they are and all the posing Friedman did this off season and the boast that the Dodgers were going to add significant players has resulted in Homer Bailey, released, Joe Kelly, the bridge to Jansen, we hope, 2 kids on our tops 30 prospects list, and a 36 year old catcher 5 years removed from his prime. Plus numerous no name additions to the AAA fodder that will be OKC. The fact is they still have some guys who have significant pop. Trouble is, most of them are left handed hitters and do not hit lefty’s all that well. Oh yeah, they traded for a 6′ 9″ LHP with control problems. All this when Fraudman said that the roster was going to be upgraded. What did they lose? Kemp, 21 HR’s 85 RBI’s to lead the team, Puig, 23 HR’s 63 RBI’s and stellar defense. Grandal, 24 HR’s 68 RBI’s, Machado, 13 HR’s, 42 RBI’s. 81 HR’s 258 RBI’s removed from the lineup. So far the only bat added is Martin. To say they will have a different look this year is an understatement. You would think that if Gonzalez was a target as a free agent there would be a story here or there saying just that. At least a rumor or two. But none of that is happening. Michael, I have been also one of the few that have actually said this very same thing…. “Some guy on Twitter got all twitterpated when I said the Dodger roster was full of mediocre players. He has a higher opinion of this squad than I do. I guess one of the reasons is because there are more questions about the roster this spring than there were last year. And I do not see how any blog or anyone else can honestly believe that this team as constructed right now can win 95 games like some sites are predicting. I think if they make no major additions to this bunch, they will be lucky to win 85” Honestly, I a fully concur with you here. Dodgers signed 32 year old free agent catcher Josh Thole to a minor league contract. Thole played in the Detroit system last year, and he was pretty bad. What a cruel off-season. Dodger fans have gone from waiting for Bryce Harper to hoping for Marwin Gonzalez. The front office is just going to mail it in this year and wait for their top prospects in 2020. Turns out it’s as easy to market prospects as established stars to a fan base more interested in an “interactive experience” and fantasy baseball. As long as the suckers keep paying for tickets this will continue. You got that right. Yankees signed Ottovino to a 3 year deal. 27 million. Thole has a -1.3 WAR for his career. 9 homers in parts of 8 seasons in the majors. Could tutor the young guys in the minors I guess because Smith will be #1 at AAA and Ruiz at AA. LOL But it’s true. He won’t be up here anytime soon anyway.